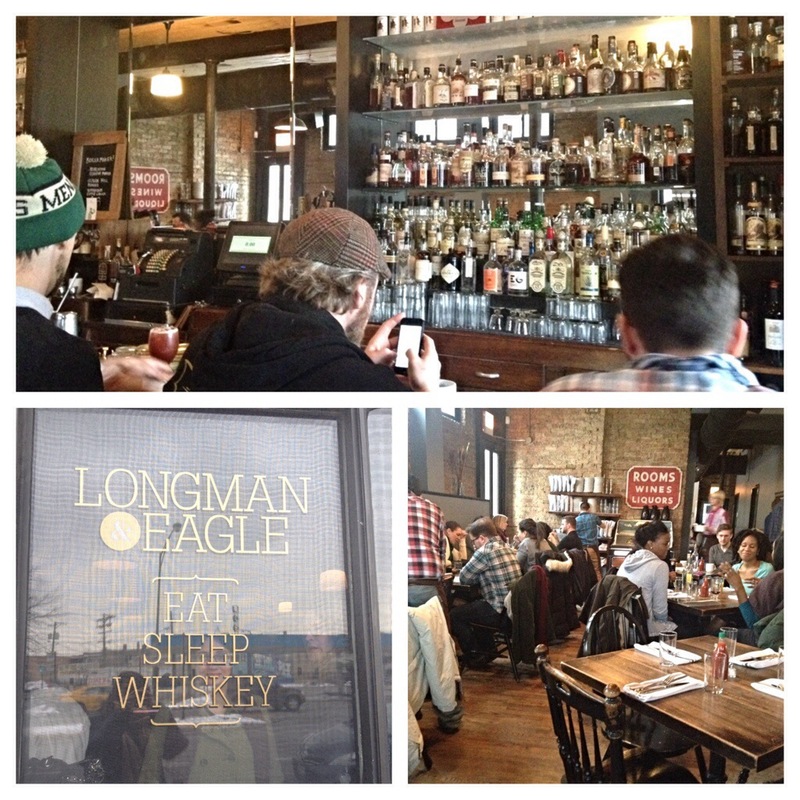 I’ve been wanting to visit Longman & Eagle for quite a while; I’ve seen the Logan Square spot on the Food Network and heard so much buzz about it. The farm to table, nose to tail restaurant serves American cuisine, and the menu changes frequently, which is even more reason to visit often. 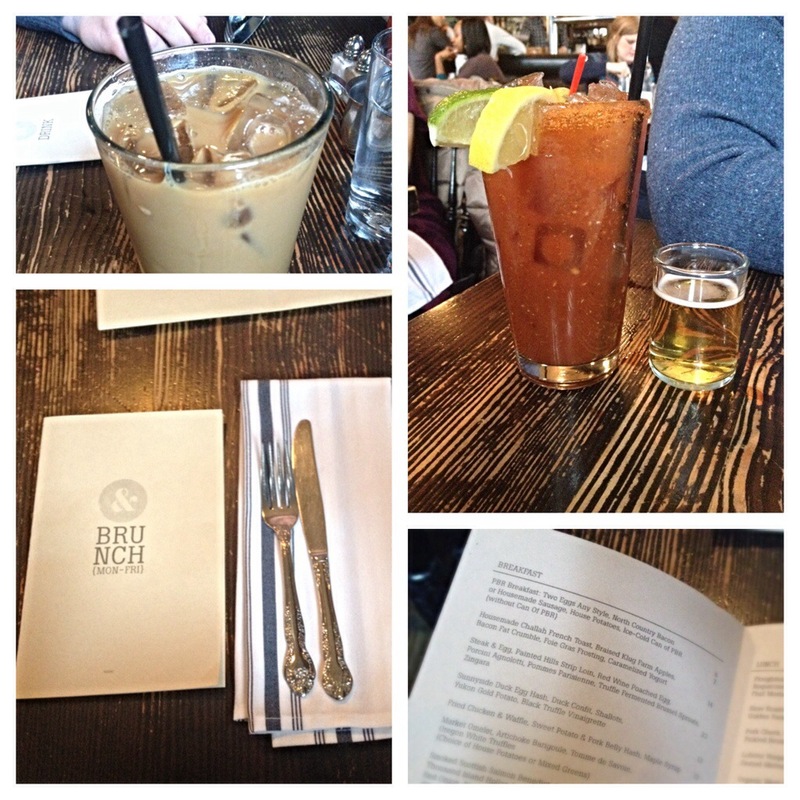 After dragging Nate to run errands early on our day off, we went on a brunch date here. Parking wasn’t hard to find, and the wait was probably about 30 minutes (no reservations), but the eye candy was endless. The decor is eclectic, so there’s tons to look at. I checked out the many awards on the wall, as well as the extremely well-stocked bar (so many whiskeys–Nate was in heaven). We sat at a table near the hostess stand. Our waiter was very attentive for how busy they were, which I really appreciate. I ordered an iced coffee and poached eggs, homemade sausage, and potatoes. (I opted against the PBR shot that you can get with it!) 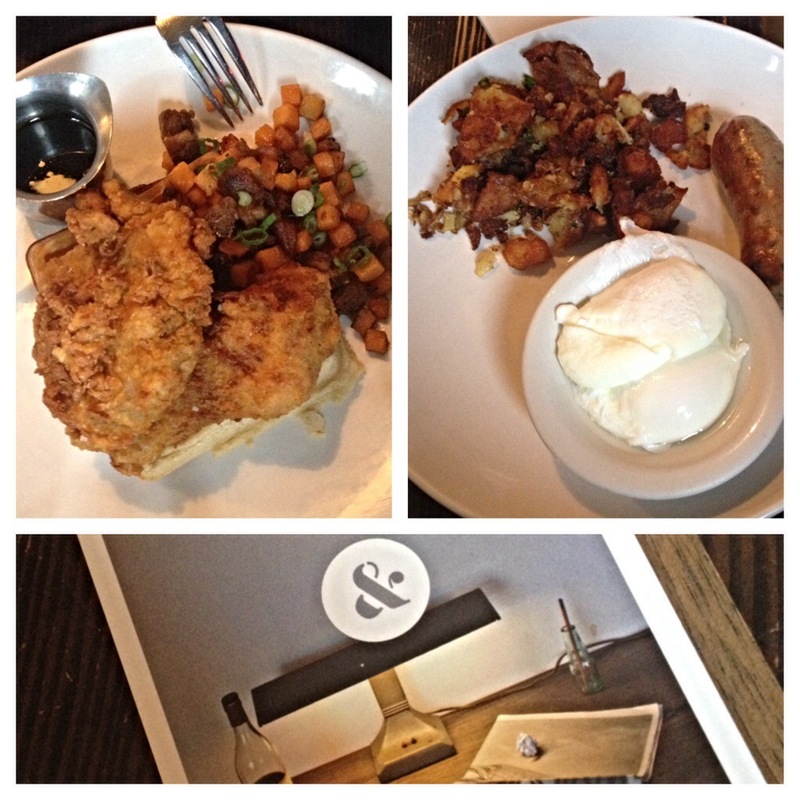 Nate’s order was much more exciting: Bloody Mary with a shot of PBR and chicken and waffles. Our meal lived up to the hype. I daydream about those crispy potatoes. The perfectly poached eggs. I tried Nate’s chicken, and it was tasty, too. Longman & Eagle is one of those places where you can come back and try many different items (as opposed to my usual “find something I like and stick to it” attitude), so I look forward to our next visit! Also, did you know they have six rooms available for visitors to stay overnight? The prices are reasonable (start at $85 a night) and given the restaurant decor, I bet the rooms are pretty cool, too. Something to check out if you have guests coming in town. Breakfast, lunch, and dinner are all right there!